When we think about evolution, we tend to imagine the appearance and behaviour of animals as infinitely malleable, changing and adapting to perfectly suit the whim of natural selection. However, in many cases, evolution is actually surprisingly constrained. The potential for a species to evolve into new environments, diets or lifestyles may be limited if the necessary variation isn’t available in the population. In this case, the raw materials for natural selection to act upon are missing and a species cannot evolve in a particular direction. Evolutionary constraints may be developmental or genetic in origin, and may in part explain why some groups of species are more diverse than others. Early in mammalian evolution, around 160 million years ago, mammals diverged into two main groups; placental mammals (e.g. humans, rats, elephants) and marsupials (e.g. kangaroos, possums, koalas). Placental and marsupial mammals use a different strategy for early development; mammalian infants develop either internally (placental mammals) or in a pouch (marsupials). Despite a similar period of evolutionary history, there are far fewer species of marsupials, and as a group they show less diversity in terms of locomotion and diet. New research suggests their unusual developmental strategy may have constrained their evolution, limiting the variety of present-day marsupials. Placental mammals give birth to reasonably well-developed young after a lengthy pregnancy. 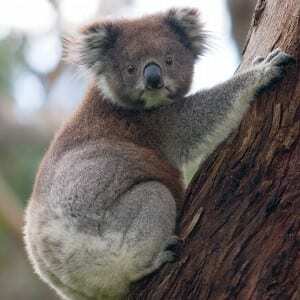 However, marsupials, such as kangaroos and koalas, do things a bit differently. The infant is ejected very early in development, and must crawl to a specialised pouch where it can complete the rest of its development, feeding by suckling. This developmental strategy is pretty demanding on the young marsupial, and requires that they are strong enough to crawl and suckle at a very young age. There is evidence that the shoulder has been constrained by the demands of crawling at a young age. Has suckling imposed similar constraints on the skull? During development, embryonic connective tissue begins to form into bone through a process known as ossification. In marsupials, ossification in the skull and particularly in facial bones occurs much earlier in development compared to placental mammals. This pattern is probably necessary to allow marsupial young to suckle at such a young age. Early facial ossification has wide-ranging effects on brain, tooth and muscle development, and may have limited the diversity of facial shapes available to marsupials. Suckling may have been a major constraint on marsupial evolution. In a recent study conducted in GEE, Bennett and Goswami (2013) measured a number of skull characteristics for 125 species of placental and marsupial mammals. Previous studies have failed to find evidence for evolutionary constraints affecting mammalian skulls, but these studies primarily focused on carnivores, and considered the whole skull at once. By looking at different regions of the skull separately, Bennett and Goswami found that marsupials exhibit less variation between species in the facial bones (viscerocranium) than placental mammals. This pattern is not present for the braincase (neurocranium), which is not involved in suckling behaviour, and where bones ossify much later. These results suggest that early suckling might have constrained the diversity of marsupial skull shapes, and may go some way to explaining why marsupials are less diverse. Mammalian diversity has probably been constrained by a variety of factors, not just bone ossification. 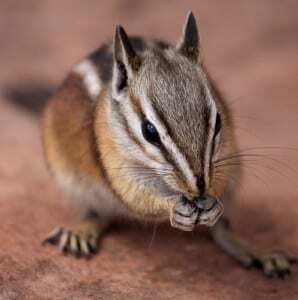 Another recent study from GEE and Earth Sciences by Halliday and Goswami (2013) showed that tooth growth patterns may have restricted the relative size and shape of mammalian teeth, potentially influencing diet. Mammalian tooth development is thought to proceed by an ‘inhibitory cascade’, whereby the growth of each developing tooth is controlled by a balance between stimulatory signals from the embryonic tissue, and inhibitory signals from the adjacent tooth. 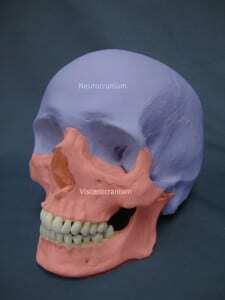 This results in the middle molar being intermediate in size between the first and last molar. 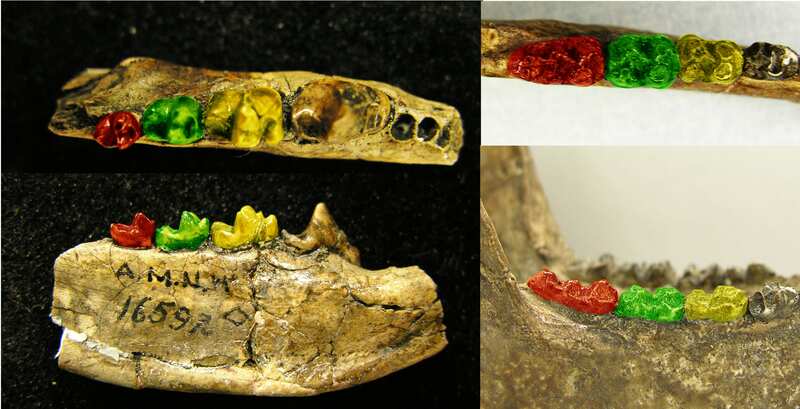 Lower right jaw of two early mammals, showing the first molar (yellow), second molar (green) and third molar (red). Across 154 species of mammal, despite considerable variation in tooth shape and size, the relative sizes of the three molars conformed to the same basic pattern in about two thirds of species. The largest tooth was almost always either the first or last molar, in line with a common pattern of tooth development across all mammals. Diet is strongly related to tooth size and shape: mammals with a larger third molar (coloured red) tend to eat more plant matter, while mammals with a larger first molar (coloured yellow) tend to be meat-eaters. Across 180 million years of evolution, almost all mammals still conform to the same basic pattern of tooth development that their early ancestors used. One extinct group of mammals, called condylarths, bucked the trend in molar shape. Their middle molar was largest, inconsistent with an inhibitory cascade. Perhaps this was an archaic adaptation to a new diet – condylarths were among the first omnivorous mammals, and a similar pattern is found in modern-day bears. The developmental constraint of the may not have been too strong for this particular deviation, though, and could have been achieved by a fairly simple modification to the inhibitory cascade. Adaptation is not infinitely plastic. Natural selection can only work with the raw materials of variation in the population. Sometimes, one aspect of life constrains another, but if the pay-off is great enough, evolution will often find a way, despite the constraints. This project was made possible by funding from the Natural Environment Research Council (NERC), as well as Abbey Research and Collaboration Awards and the University of London Central Research fund.